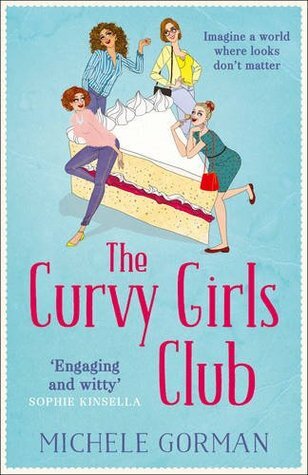 The Curvy Girls Club follows four friends, Katie, Jane, Pixie and Ellie on their quest to shed the pounds. However, they are sick of attending their slimming class and decide to get together one night week to do something fun together instead. Word quickly spreads about what they are doing, and the night's out quickly grow into a club, where they can do anything from going to see a show, to wine tasting, to speed dating. We know that the girls are overweight, but we don't know the details about their weight or their sizes, so it was hard to relate to them in that sense. I would also have liked to see the point of view if all of the girls and not just Katie. I also had a huge dislike to the character of Pixie, I felt that she was very annoying at times. However, saying that I really did enjoy this book and I think that it's a great idea for a book. The book kept me interested throughout and I really liked the story line. I think that weight is an issue for so many women the world over and I thought that this book held the message to love yourself and that it doesn't matter what size you are. I feel that Michele Gorman should be applauded for doing a great job in dealing with such a sensitive issue.